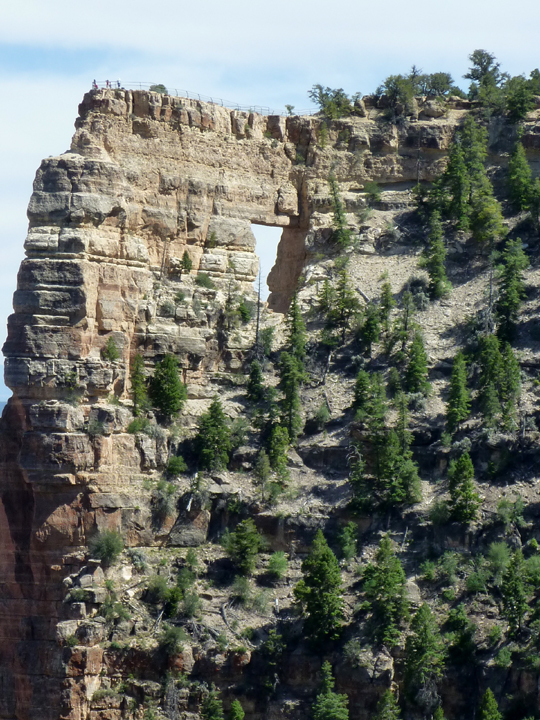 Spectacular weather rewarded us for delaying our visit to the North Rim. 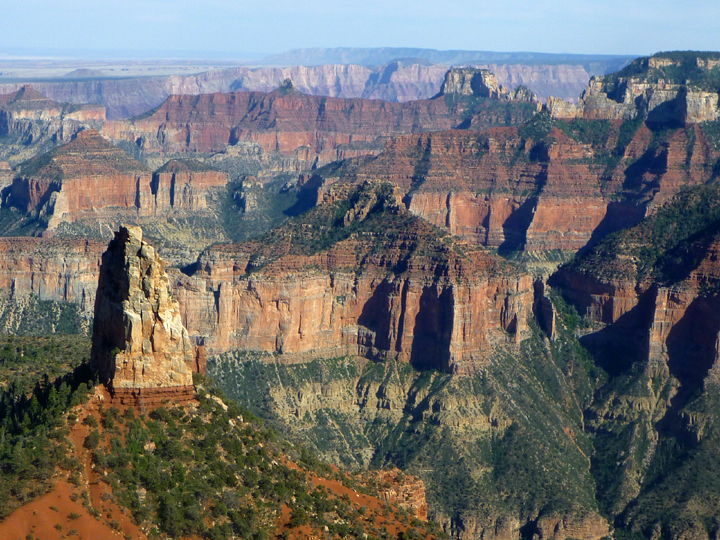 The drive out to this less-visited part of Grand Canyon National Park is spectacular. 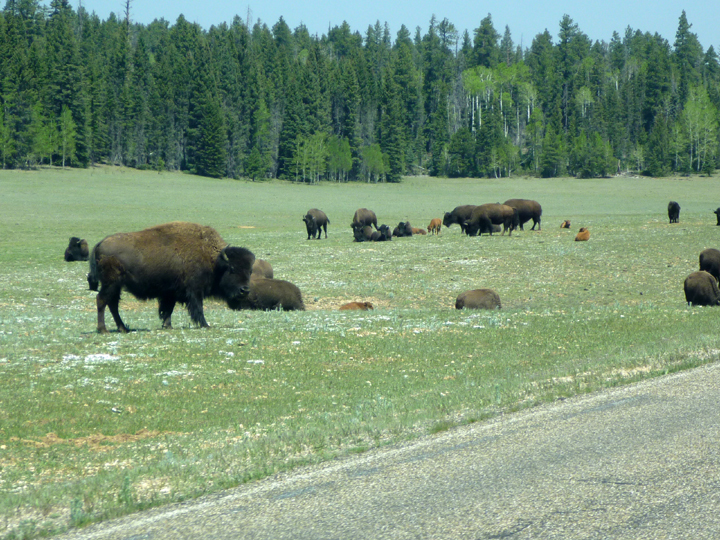 The steep and curvy road flows from the desert floor up to and through forests of Ponderosa Pines and expansive highland meadows. 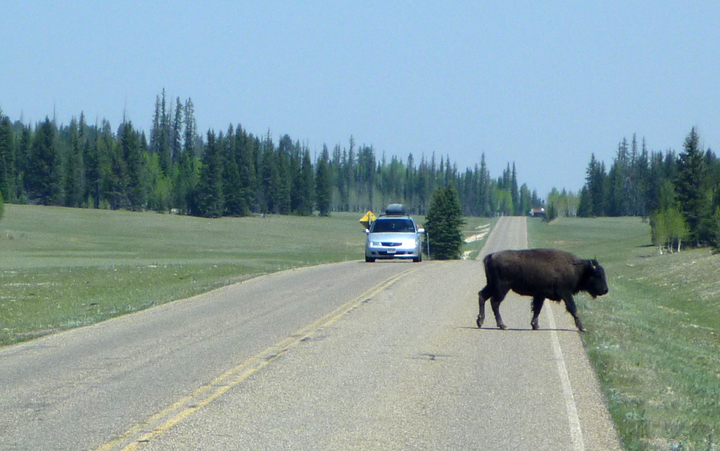 We even had to slow down for a herd of buffalo who couldn’t decide which side of the road they preferred. 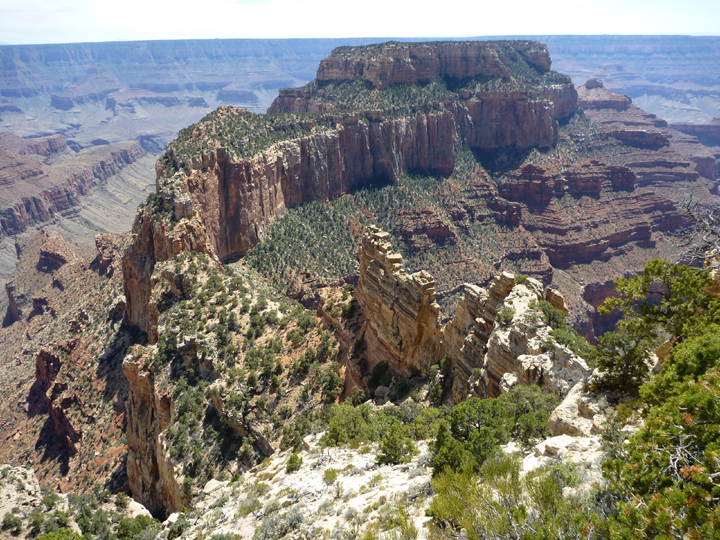 There is only one relatively small campground at the North Rim and all the sites can be reserved months in advance, which we were unable to do since we did not know exactly when we would visit. 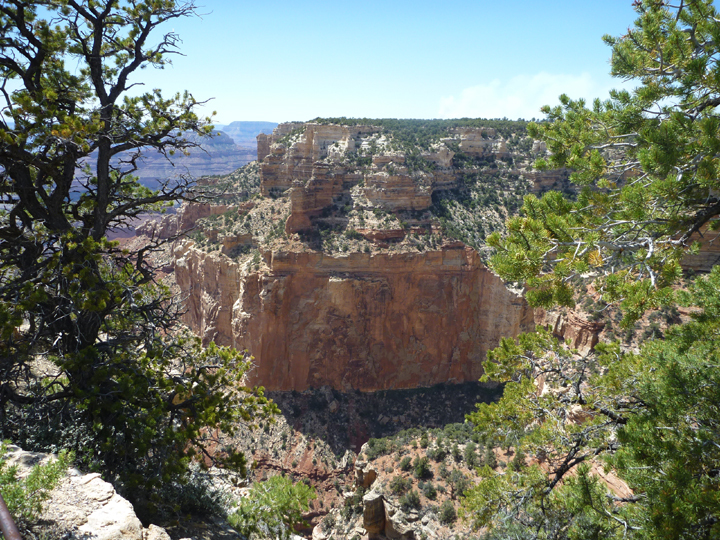 The nearest options are quite a few miles outside of the park entrance, but we decided to go directly to the rim anyway. We boldly drove past the registration kiosk directly into the campground to see if we could find someone willing to share their site. The first person I asked was taken aback and not willing, but we got lucky with the next gentleman, Mike from Sarasota, Florida, who was tent camping alone (in one of the most beautiful sites in the campground, I might add). He had three nights booked , which worked out well for us. We had Mike over for dinner one night to express our gratitude, which he seemed to appreciate. Thank you again, Mike! 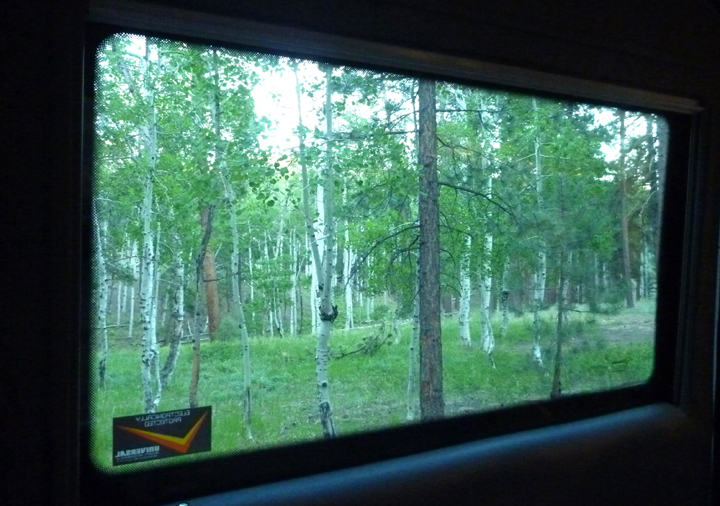 We thoroughly enjoyed the White Aspen grove, starry sky, and bird songs. 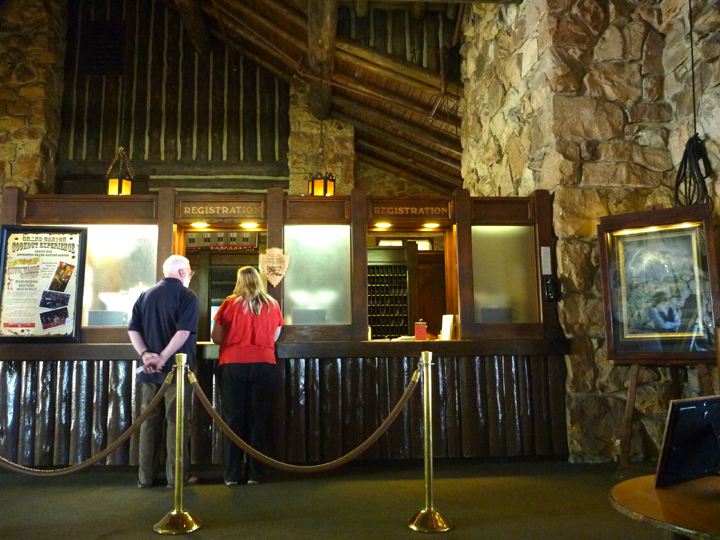 The staff at the historic Grand Canyon Lodge greet all visitors warmly, whether you are staying there or not. 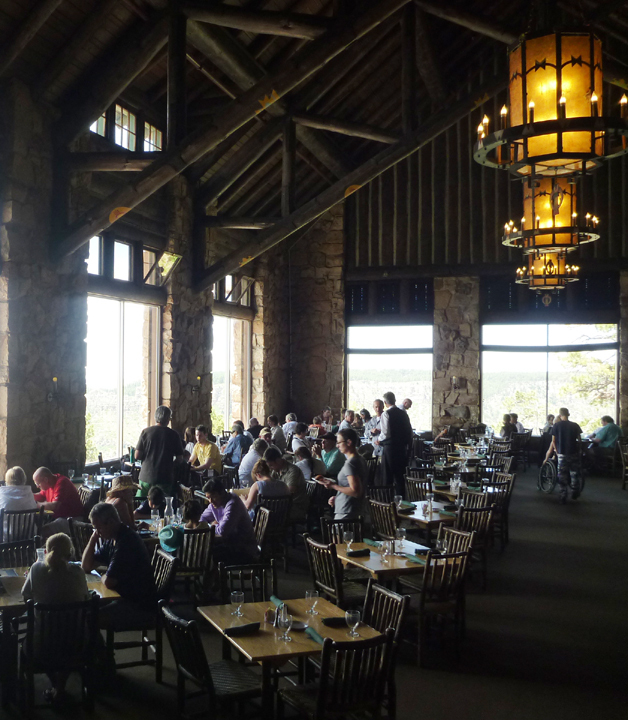 Everyone is welcome to dine in the restaurant, enjoy a drink on the terrace, or just enjoy the view from the lounge. 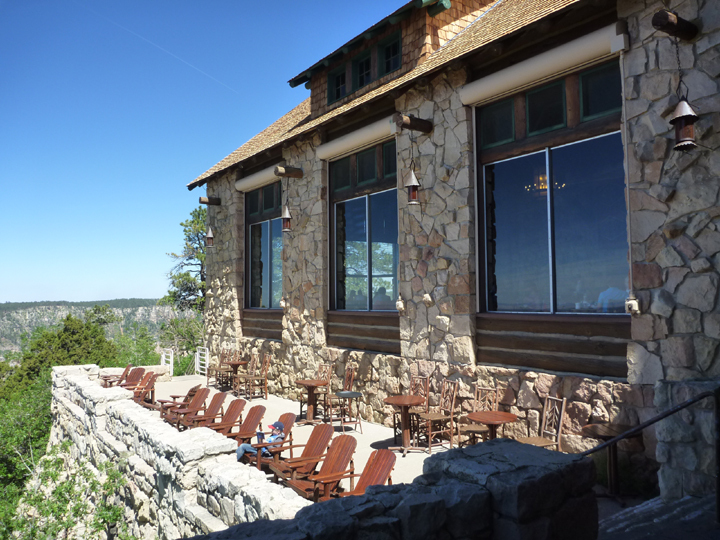 When the Grand Canyon Lodge was rebuilt in the 30’s, after burning down a few years earlier, the architects took full advantage of the building’s perch right on the rim. 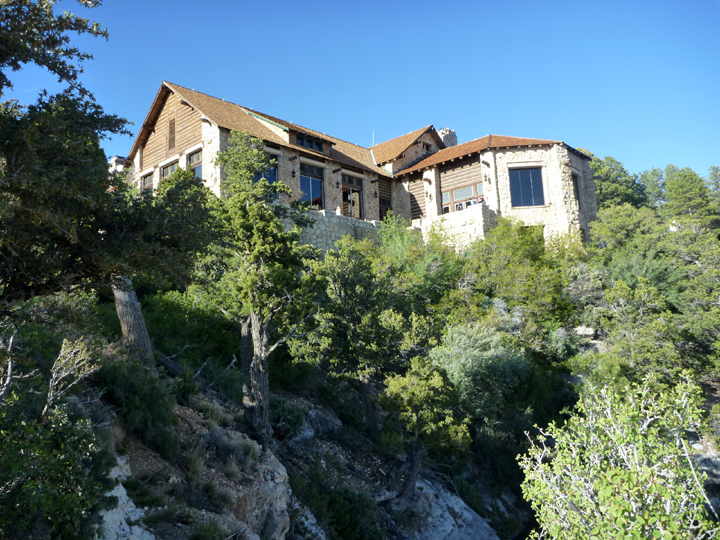 You can see straight through the entrance doors out to the canyon beyond the windows on the far wall. 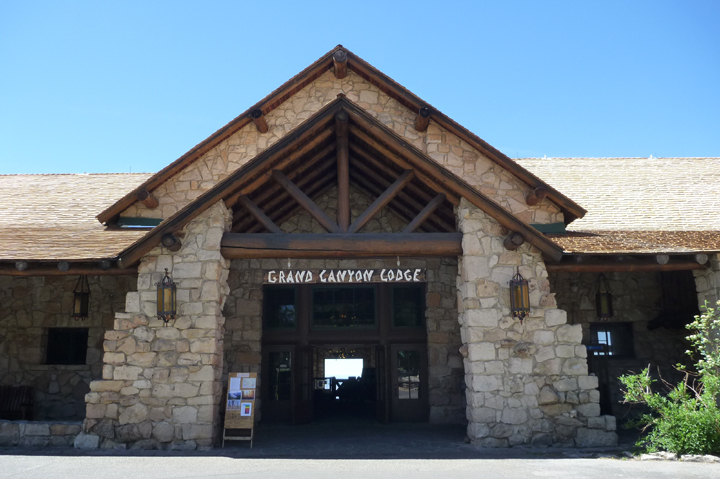 We rode our bikes along the rim trail to the lodge and visitor center one evening and hiked another couple of trails the next morning. It is beautiful here, but we weren’t all that thrilled…yet. You can’t realize the full extent of the beauty here until you take the 23 mile scenic drive out the Cape Royal and Point Imperial. This is one of Al’s panoramic shots. Click to view larger. Gorgeous photos. At this point, you could write a book on how to tour the US. And I could buy a copy. And make it the Christmas present for all my relatives that year. Nice pics, you had better visibility than on our visit.